The Church of the Synagogue in Lagos, a Nigerian deportee who has just arrived from Libya, confessed alarmingly the alarming image of the number of African dead who seek to enter Europe illegally. In a shocking revelation published in T.B. The official Facebook page of Joshua, said the man; "Most of the bodies stranded on the coast had decomposed, and when we picked them up, their flesh was peeled to the bone, some lacked ears, eyes, or breasts - they were all my African brothers and sisters." Alimi said the bodies were thrown into a common grave, crushed by bulldozers and then covered by Libyans who had picked him up and a group of other immigrants to do the "dirty work." Speaking further, he said he had traveled to the North African nation through Niger in 2013, adding that 29 embarked on the dangerous journey through the Sahara desert, but only nine arrived in Libya. "In fact, I buried 20 people in the desert," Alimi recalled, adding that he only survived by drinking urine after being stranded for five days without food or water. After a failed attempt to cross the Mediterranean to Italy in 2017, he was imprisoned in an underground dungeon for a year before the intervention of the International Organization for Migration (IOM), which facilitated his return to Nigeria. Another deportee, Johnson Imonigie, shared equally anguished details of how the improvised ship he was dump on was heading to Italy. 121 were on board and 87 drowned. Even before his attempt to cross the ocean, Johnson had been kidnapped and sold as a slave three times in Libya. During his imprisonment, one of his close friends was beaten to death in his presence. "They decided to defeat me in my manhood," he recalled vividly. "I can not even describe the pain, I was there the day they beat my friend so hard that he really died." 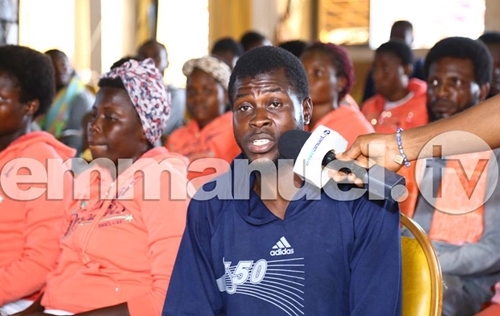 On Tuesday, June 5, 2018, 171 Nigerians were voluntarily deported from Libya, more than 90 of them decided to visit the famous Joshua Church for help. Upon hearing their plight, Joshua and his 'Emmanuel TV Partners' gave the group N3m ($ 8,500) to help them start their lives back in Nigeria.